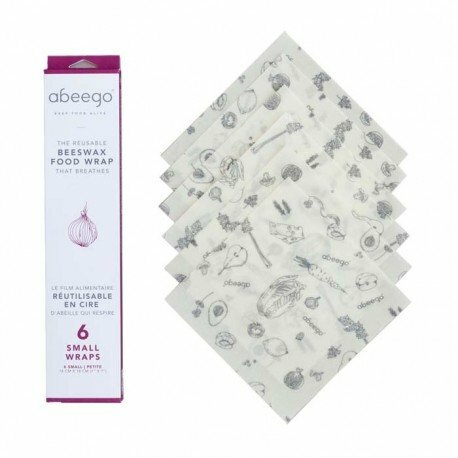 Abeego is a plastic free food wrap which protects food while letting it breathe. It’s flexible and slightly adhesive so it can easily be shaped around food and bowls or folded into packages to store food at room temperature or in the fridge. 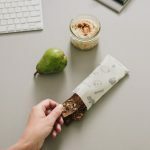 This plastic free food wrap is made from hemp and certified organic cotton and has been infused with pure beeswax, certified organic jojoba oil, and tree resin. Hand wash in COLD water with an eco-friendly soap and air dry. In cold water the beeswax coating will be stiff, providing a stable surface to clean. Abeego washes like a plate, not a piece of fabric. It can handle a light scrub with a gentle dishcloth or sponge. Store rolled, folded or flat (between cutting boards). Abeego can last a year or longer with proper care. 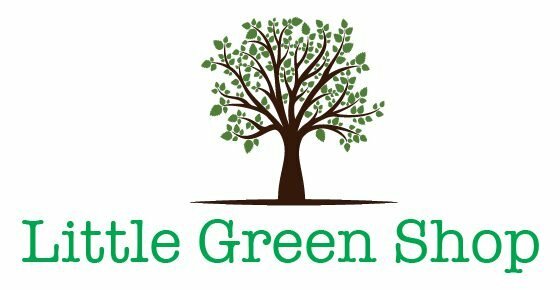 At the end of its life, it can be composted. Not suitable for microwaves or exposure to hot temperatures. The small pack contains 6 small wraps, 18cm x 18cm each. Click the link to find out more about Abeego on the Abeego Video Channel.